RUNYON ALTO SAX. JAZZ BEK SETİ. 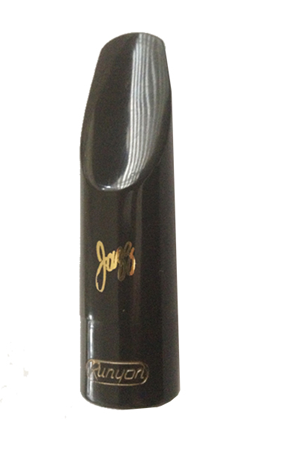 (STOKTA 7 ve 8 NUMARA BULUNMAKTA) The Jazz Alto Saxophone Mouthpiece is available in Facings #4-#9. Mouthpiece is finished in Black, Red, Amber, or Blue, and has optional spoiler. Includes Runyon Ligature and Cap.